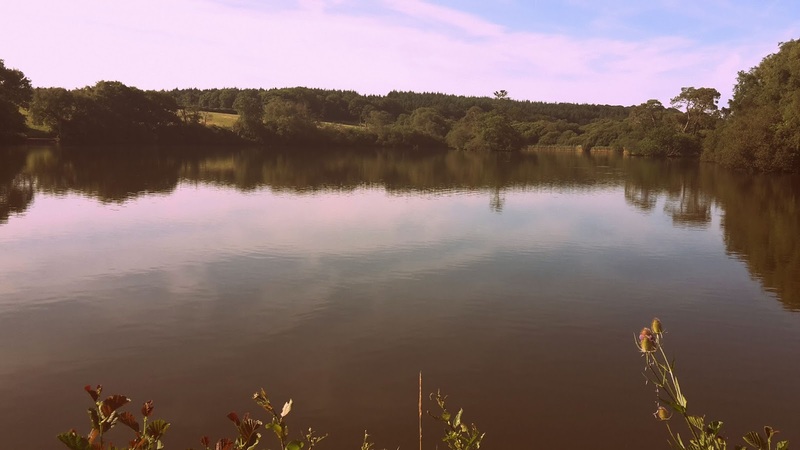 This was a week of two halves; prepping for Camp Bestival and going to Camp Bestival! 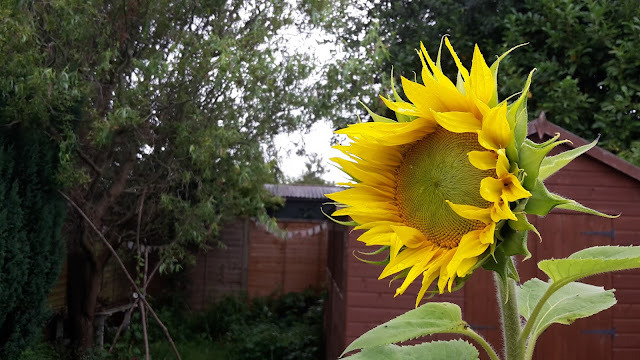 I looked out of the kitchen window and saw that my big sunflower had come out! 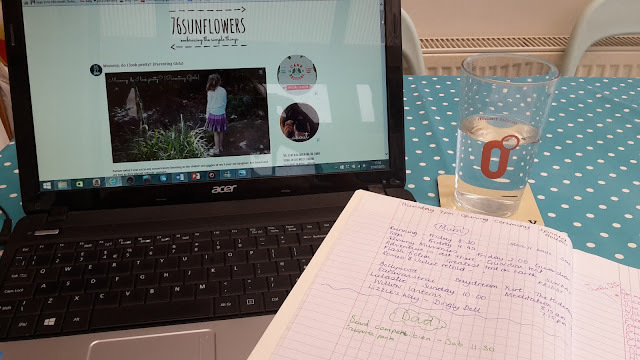 Lots of planning today and making lists of things we need to take and things we want to do at this year's Camp Bestival - I also managed to post a non Project 365 blogpost too! I took the kiddos out to The Courts for some fresh air today and then in the evening I managed to get out with just the husband - a rarity indeed! 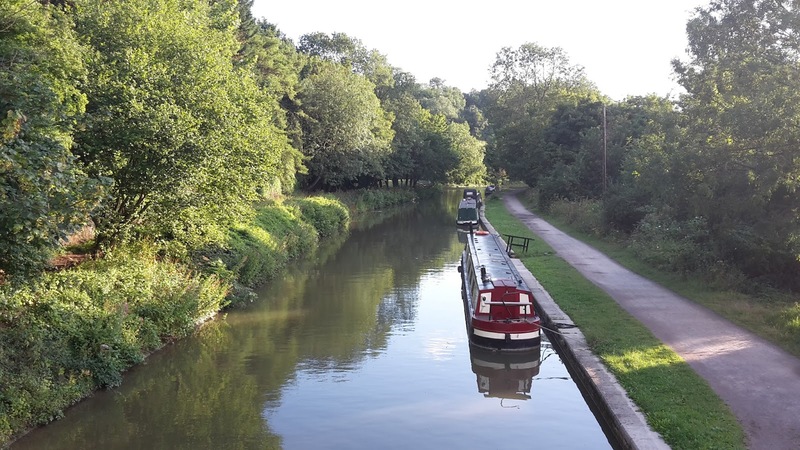 We headed to Bradford on Avon for a wander along the canal and a walk to the pub. I spent the whole day packing and prepping food for Camp Bestival tomorrow. 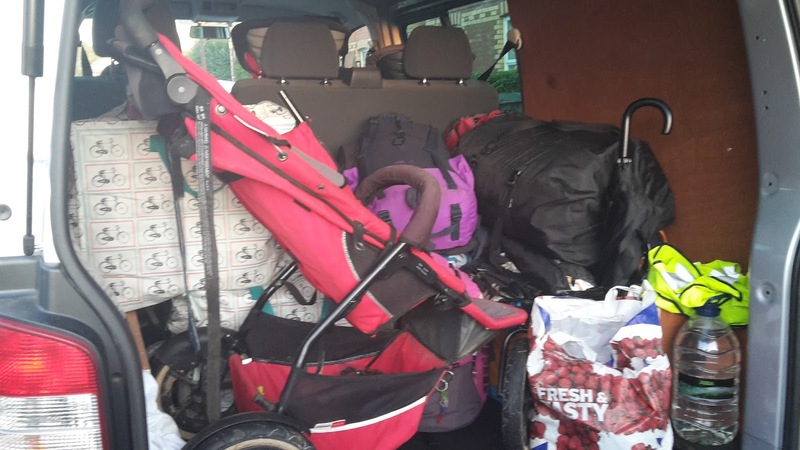 I am so glad we have a van this year as everything went in with minimal fuss. We finally made it! 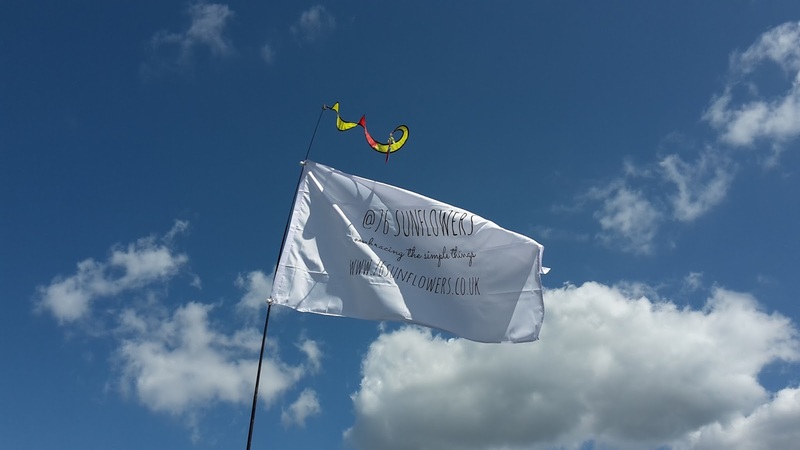 It was an early start to beat the crowds and with relative ease we were in and pitched up ready for the weekend ahead. I got up early today to go on a Nature Run around Camp Bestival. The 6k run took us off site, across fields and around a tranquil lake. Here we stood for a while just breathing and taking it all in. It was a perfect start to the festival. 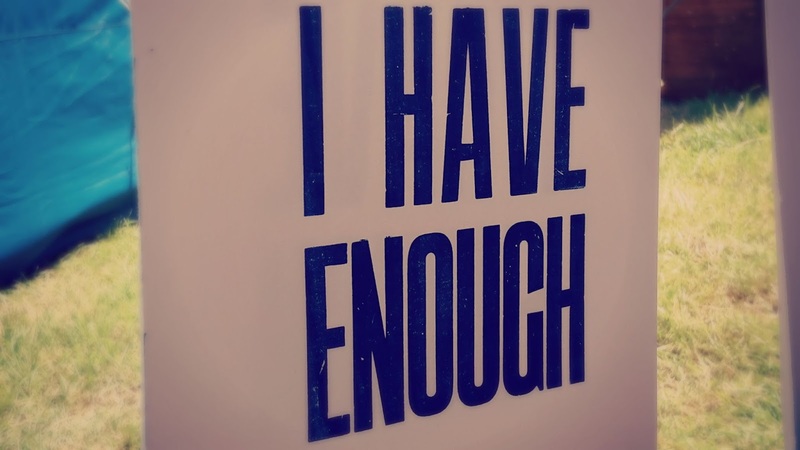 I also did some yoga yesterday and there was an affirmation; 'I am enough, I have enough, I do enough'. I took part of this and used it to do some traditional letter pressing today in the beautiful Sleepy Hollow area of the festival site.